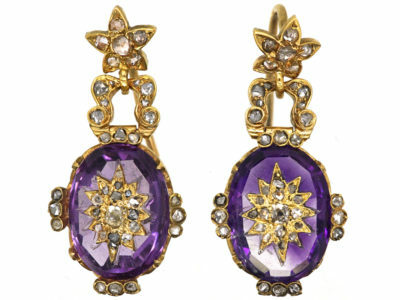 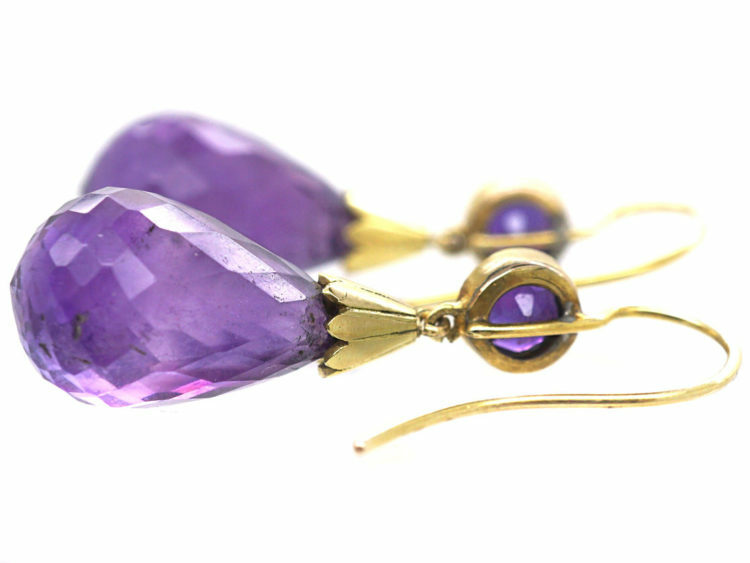 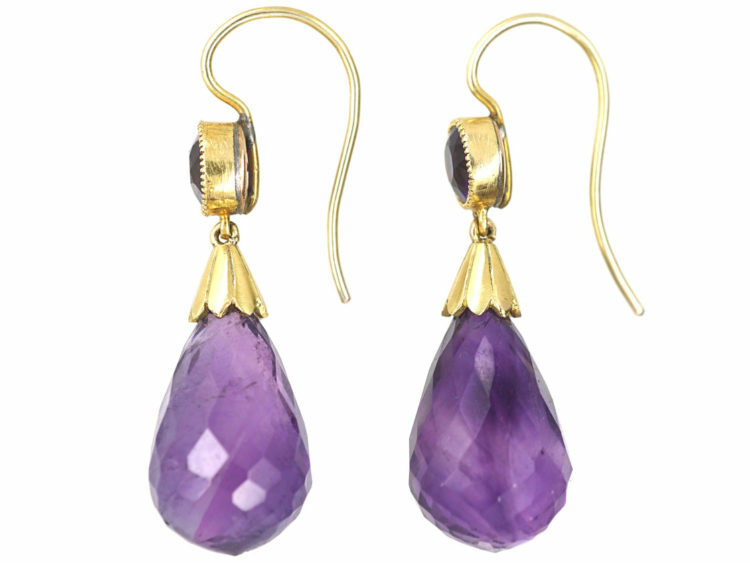 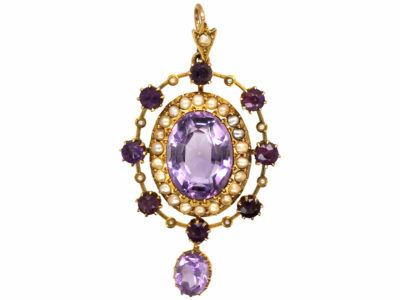 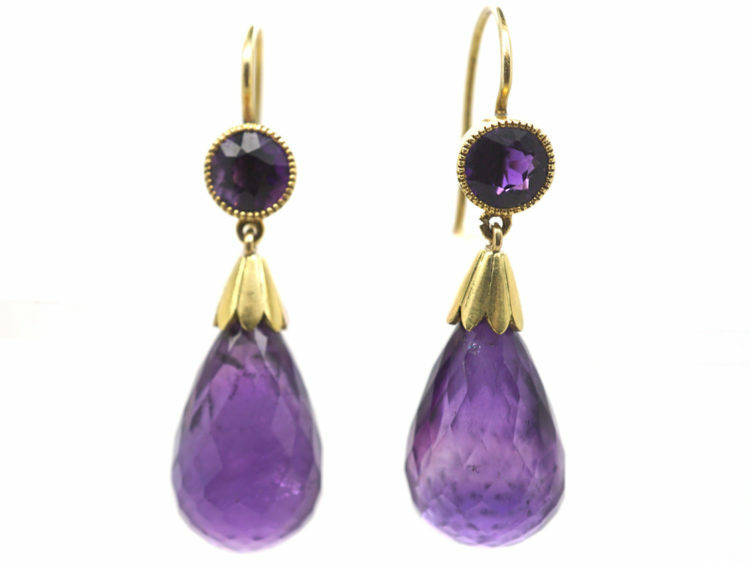 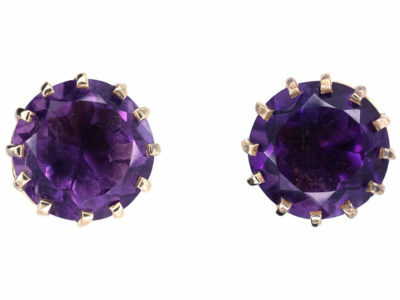 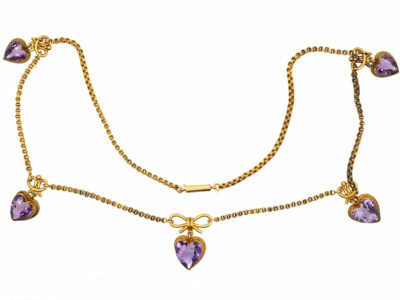 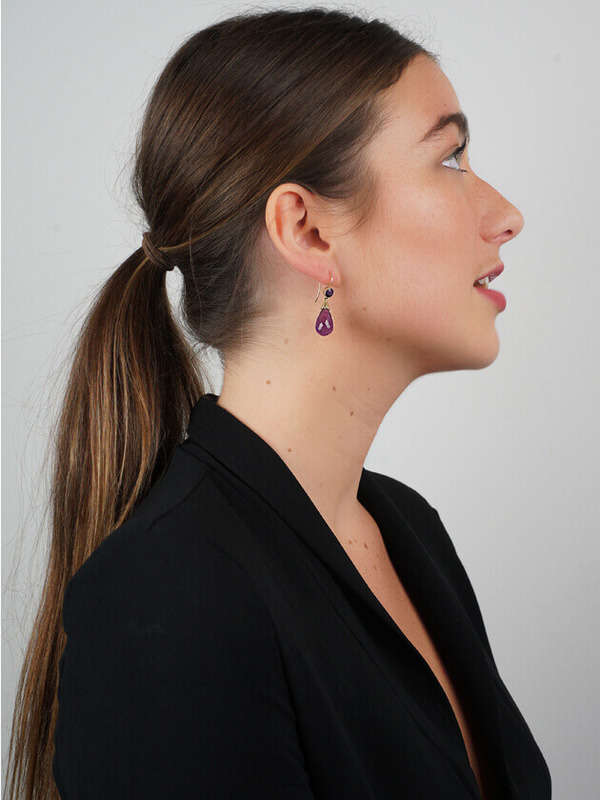 A pretty pair of drop earrings set with faceted pear shaped amethysts with a round faceted amethyst above each one. 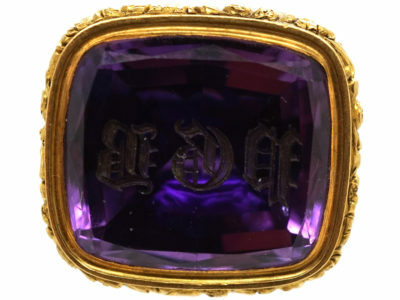 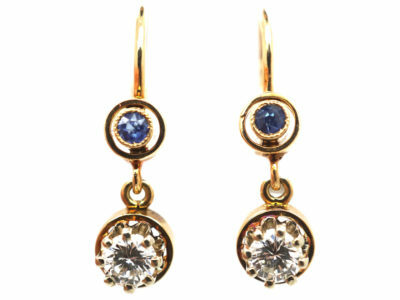 They are 15ct gold and were made in the early 1900s. 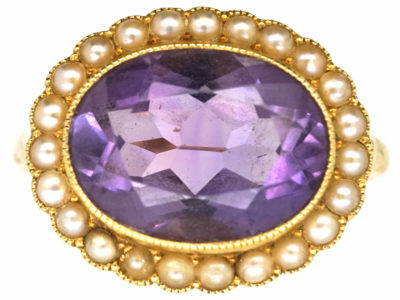 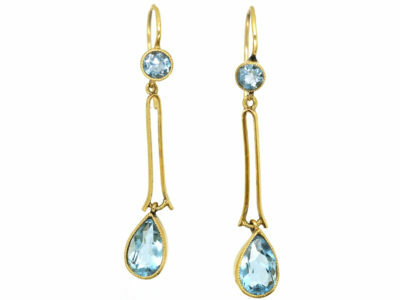 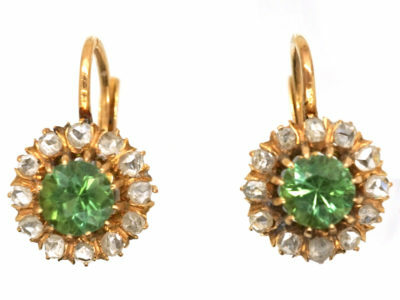 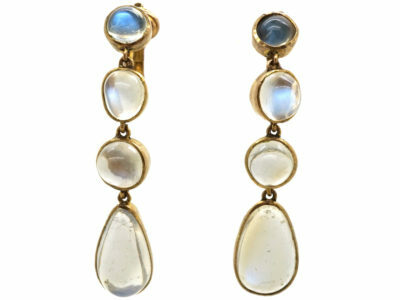 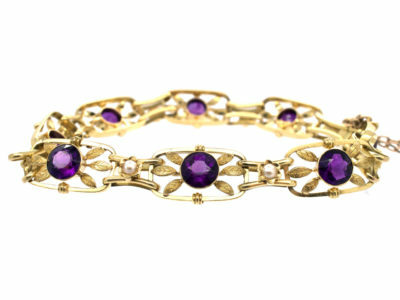 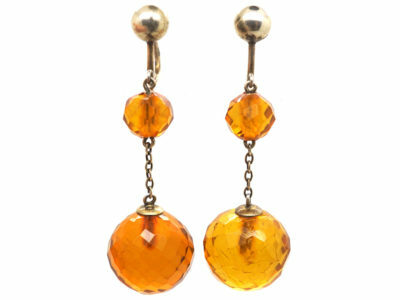 They would look lovely worn with a matching amethyst necklace.